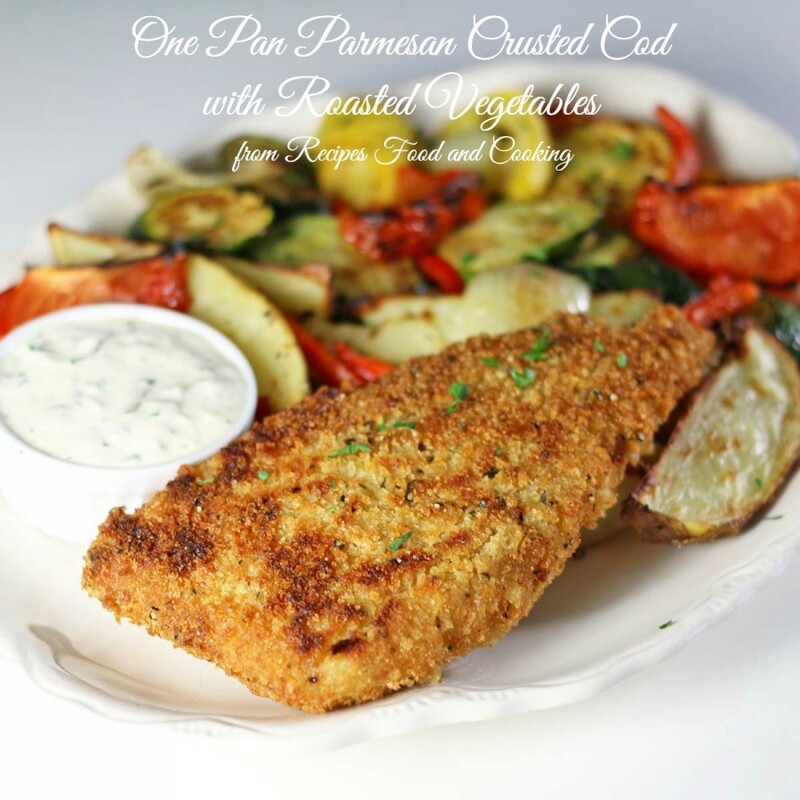 This is a sponsored post written by me on behalf of Gorton’s Seafood for IZEA. All opinions are 100% mine. 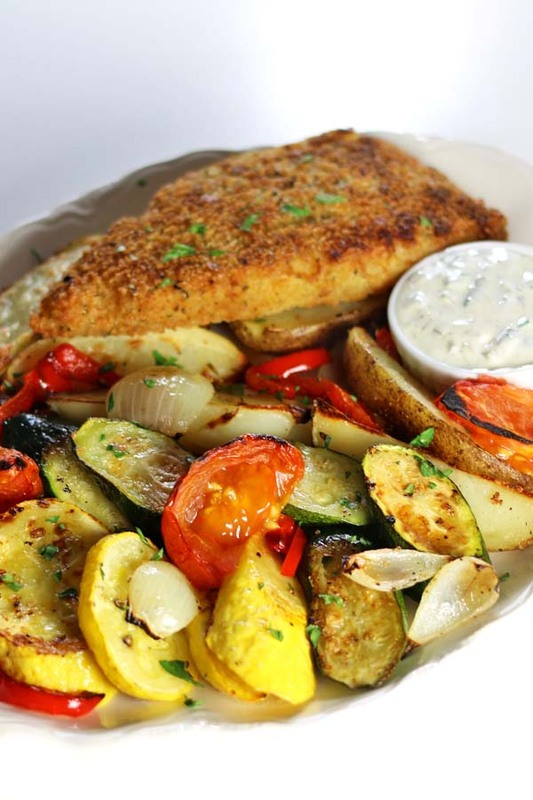 Have you tried the new Gorton’s Parmesan Crusted Cod yet? I was blown away when I tried it for the first time this weekend. It is going to be on my menu often and I have already told several of my friends to look for it at their grocery store. These are part of a new line Gorton’s has come out with that are chef inspired, wild caught, extra large Gourmet Fillets. There are 4 different varieties. All are made with real ingredients like roasted garlic, parmesan, butter and oregano and have no artificial flavors or MSG. You can find them in the freezer section at your grocery store. GoGorton’s has recipes for seasonal side dishes, simple salads and more that will make for a convenient meal. Everyone already knows how fish and seafood are so good for you. They contain natural omega-3 fatty acids, lean protein, and critical vitamins and minerals that can aid brain development, promote heart health, help fight obesity, improve arthritis and joint pain and improve overall health. It is recommended by the USDA, American Heart Association, American Cancer Society, and American Diabetes Association all recommend eating seafood at least twice a week. 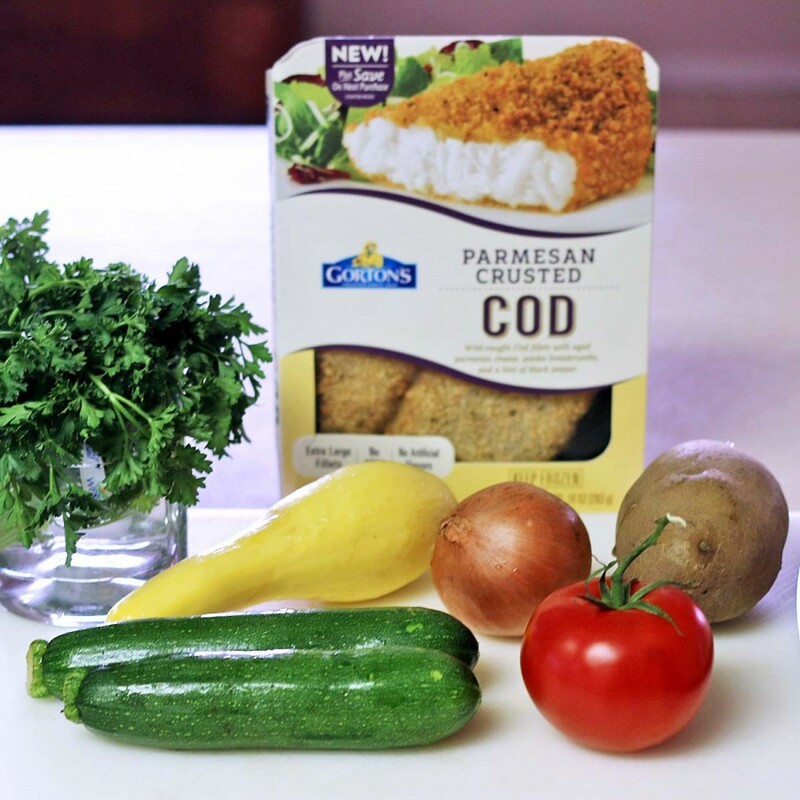 With these new products Gorton’s make it easy for you to serve delicious fish to your family that’s easy and delicious any night of the week. When I lived in Massachusetts a few years ago I visited Gloucester, Ma. and was so surprised to see the statue of the fisherman we all saw growing up on TV. Remember the jingle “Trust the Gorton’s Fisherman”, you’ll find it in Gloucester right on the waterfront. Gloucester is America’s oldest seaport so it is only right that Gorton’s is located there. When you buy Gorton’s products you know that you are buying from an American company that has been in business since 1849! This dinner is so simple to make and I love that I only dirty one pan! It is also ready to eat in just about 30 minutes. 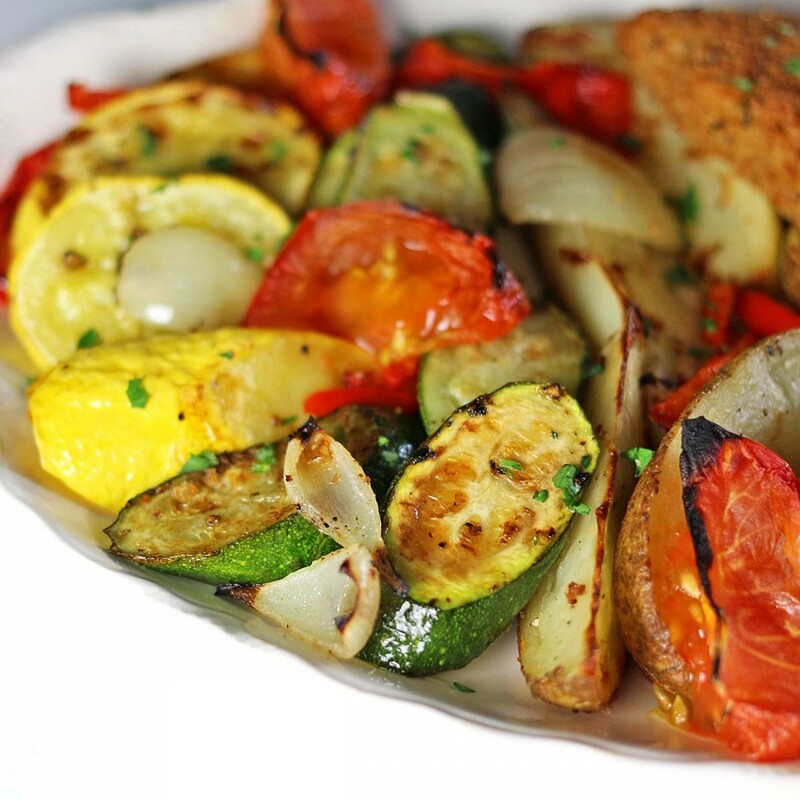 Chop up your favorite vegetables and give them a quick toss in a little vegetable oil. I just used salt and pepper on my veggies but any seasoning you love would work. You can find other nutritious side dish recipes at GoGortons.com. Prick the potatoes with a fork and microwave for 3 minutes. Cut into wedges. Put in a bowl with the oil. Lay them on a greased cookie sheet. Slice the zucchini and summer squash into ½ inch thick pieces. I cut them on the diagonal. put in the bowl with the oil and stir to coat. Lay them on a greased cookie sheet. Cut the tomatoes into wedges. Lay them on a greased cookie sheet. Cut the onions into quarters. Add to the bowl with the oil. Stir to coat. Lay them on a greased cookie sheet. Like Gorton’s on Facebook. Gorton’s is also for a limited time making available a 1$ off coupon for you to use.